April 11th, 2018 - Xbox: Game ON! 19 Original Xbox Games Coming to Xbox One Backward Compatibility! Xbox announced yesterday even more additions coming to the Xbox One Backward Compatibility catalog this month, including 19 new Original Xbox games and six Xbox 360 games with Xbox One X Enhancements. Later this month, we’ll release two batches of Original Xbox games – the first on April 17 and the second on April 26. All of these Original Xbox games will take advantage of the power of Xbox One with up to 4X the pixel count on Xbox One and Xbox One S, and up to 16X the pixel count on Xbox One X. See below for the full list of titles that will be available later this month, and don’t forget to visit https://majornelson.com/blog/xbox-one-backward-compatibility/ for the full list of backward compatible titles available on Xbox One. As a reminder, Xbox 360 games enhanced for Xbox One X run at a higher resolution and 9X the original pixel count when played on Xbox One X. The power of Xbox One X enables the Xbox 360 emulator to showcase the very best version of the game possible with the existing assets – all without touching the game code. And through the power of Backward Compatibility, fans can choose whether they want to experience these games with enhanced graphics or in their original form. 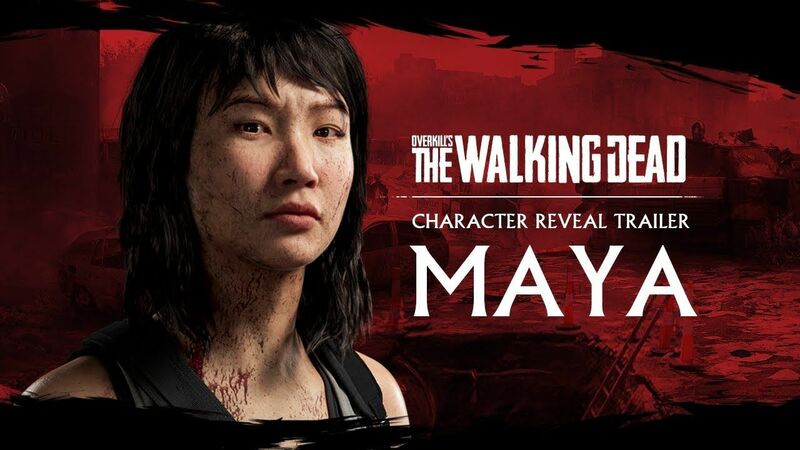 Introducing Maya, the second playable character from OVERKILL’s The Walking Dead - the upcoming game from OVERKILL, Starbreeze Studios and 505 Games.